If you need an energy performance certificate in Ealing and beyond please call me. 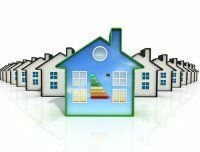 I am an independent Domestic Energy Assessor who provides a low cost and quick turn-around service on EPC's in West London. I am fully accredited and CRB checked and pride myself on providing an indespensible service to solicitors, estate agents, letting agents, housing associations, local authorities, private homeowners and landlords from Chiswick to Ealing. If you need EPCs in Ealing and beyond, give me a call. Price from £50.00 no VAT and there are discounts for large volumes and continued business. Simply tell me the address of the property make an appointment and once the survey is completed I will normally e-mail the certificate within 24 hours. Its that easy! I am Elmhurst and NHER accredited, giving me the skills and knowledge to provide a thorough and accurate job on all manner of properties. My advice is precise and independent and it is based solely on the accurate tests and data that I acquire during my assessments. As EPCs are now a legal requirement for those who are selling or letting a property, make sure you don't get caught out! All appointments are made within 2 days of your initial contact, giving you a speedy response to your needs. My EPCs are normally provided within 24 hours of the assessment and I aim to keep disruption to your daily routine to a minimum during the inspection itself. My prices are highly competitive and my service is second to none so, for EPCs in Ealing and beyond, call me today. 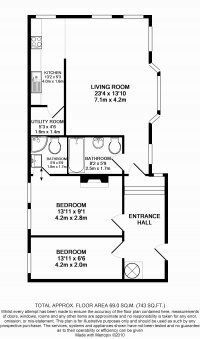 Whilst carrying out the EPC I can also create a floor plan which can be extremely useful when marketing a property. I can customise my work to your needs and the floor plans are highly detailed. As with all my services I am a fully insured provider and can also offer EPCs for commercial clients. For more details on this, please go on to my other page. You can reach me by calling 07800 604115 or e-mail me using the details on my 'Contact Me' page. I am always happy to discuss your needs and will reply to any messages as soon as possible. If you need an energy assessor in West London, call me today.